There was in many villages a local potter; in Dudleston Heath where I live there were brick makers, tilers and potters making domestic ware. 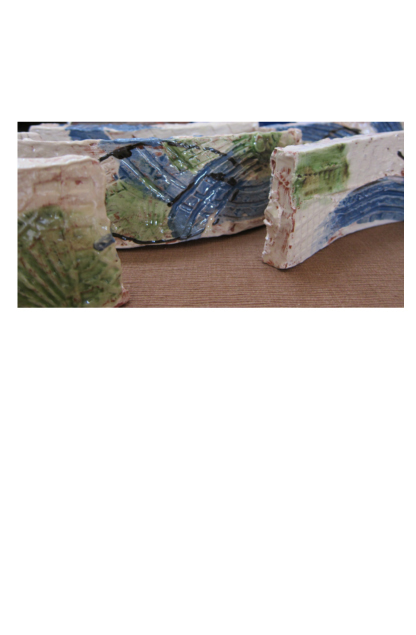 My work honours and reflects the slipware tradition in these country potteries. The clay was dug, processed and formed into a brick or tile then coloured with a clay wash before being fired in a coal fired kiln. The Tiles are £7 each; for each one sold £1 will be donated to Ellesmere Community Nursing Home.